As writers, many of us seek Solitude because of our need for quiet while we write. Sometimes our very temperaments demand that we find a place of solitude in which to refresh or to regroup our swirling thoughts. A college student appears to seek solitude on this lonely levee path. I wonder what she is thinking as she leaves the campus for the day? Notice her bright pink wellies! On perhaps a lighter note, there is something very lonely about this lizard…look closely. 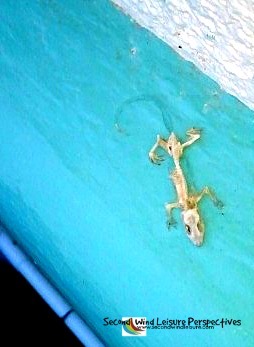 A few years ago, on top of my friend’s roof in Mexico, I found this poor lizard, or what’s left of him. Looking for a sunny spot, he got stuck in the fresh paint, prompting this haiku. I included this photo for a similar photo challenge in this previous post: Photography 101, Ultimate Solitude. These photos are submitted for the WordPress Weekly Photo Challenge. 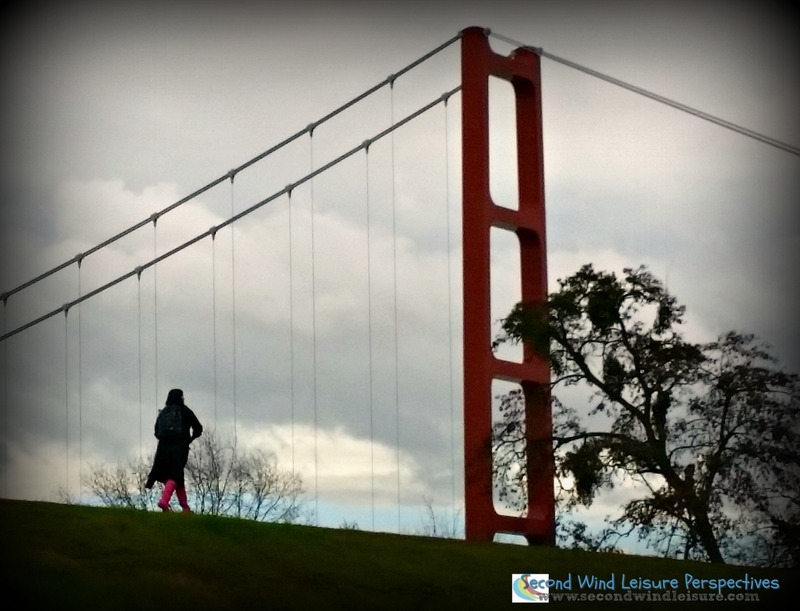 This is Second Wind Leisure Perspectives! Love the Haiku and the photographs. Poor lizard. All things in moderation. Yike! No ‘wet paint’ sign, Terri? What a way to go. Having an iPhone liberated me – I have been able to take so many photos that never would have been taken otherwise. I enjoyed this photo with the splash of color. I pinned the photo with the quote to my Philosophy board. Thank you! So he just dried up… with the paint. Not a good way to go. Sorry, I have the giggles. Glad it wasn’t me finding him. 🙂 Great photo op. But isn’t it sad? Let this be fair warning to sun worshippers everywhere! I bet he forgot his lotion, too. Poor little lizard, although I love your haiku! Well, that lizard certainly got what he went looking for, didn’t he? We just never know, when we ask for something, in what form God is gonna answer us! I see your point about the Lizard, a good metaphor for being alone can be the death of us. Love this! I have both pinned and tweeted! Thank you, Donna! I need to go pin my own too, LOL! It’s interesting that you took this photo, Terri! There are many times when I’m observing life that I think it would make a fabulous photo!! I guess I need to carry my camera with me at all times! I do enjoy solitude—it could have something to do with being an only child!?? I had seen the photo prompt and got lucky with seeing this! My cell phone has a great camera! Thanks, Jodie!